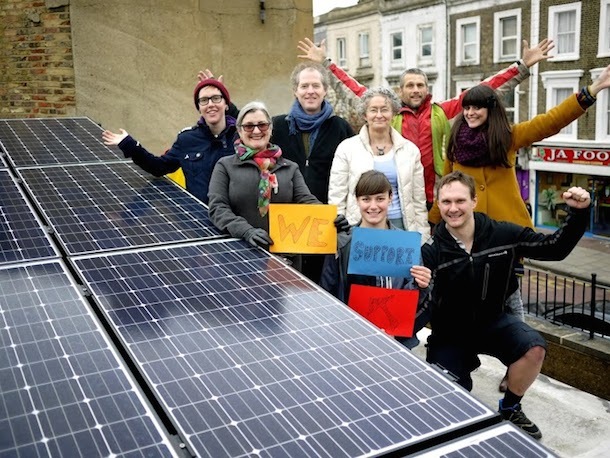 Starting early next year, Banister House in Hackney will be home to the country’s first peer-to-peer energy trading network, powered by technology start-up Verv. Verv is to fit 40 houses on the estate with its Verv 2.0 platform, connecting them to communal battery storage units to be supplied by Powervault. These will in turn be connected with the rooftop solar installations deployed by Repowering London in 2015. Totalling more than 100kW, they make up the country’s largest community-owned solar installation on social housing and have helped lift residents from fuel poverty. The pilot project, backed with a £100,000 grant from government, is intended to maximise the residents’ use of on-site generation. Those participating in the trial will be capable of trading energy between each other when necessary. It also forms part of Ofgem’s so-called ‘Regulatory Sandbox’ initiative, designed as a means of allowing innovative projects to operate outside of the usual regulations that might inhibit them. The project will last for around 12 months and, if successful, could be replicated elsewhere. Peter Davies, founder of Verv owner Green Running, said it was his intention to “tackle the energy sector at its very core”. “We are on a mission to give the consumer control of their energy and the Banister House project is a fantastic opportunity to bring to life just how much this P2P infrastructure can benefit areas such as social housing. As a company our goal is to eradicate fuel poverty and by partnering with Repowering to put Verv 2.0 into Banister House to enable the sharing of clean energy at affordable prices, we are moving one step closer towards making that happen. The fact that we will be physically trading energy for the first time is a very exciting prospect,” he said.